The Florida Panthers has struggled to attract fans in the Sunshine State. This became evident again last night in their home opener. The team announced that they had 11,419 fans in attendance against the New Jersey Devils. In fact, this was the smallest in team history to begin the season at home. When approached by the media about this, goaltender Roberto Luongo tried his best to downplay it. 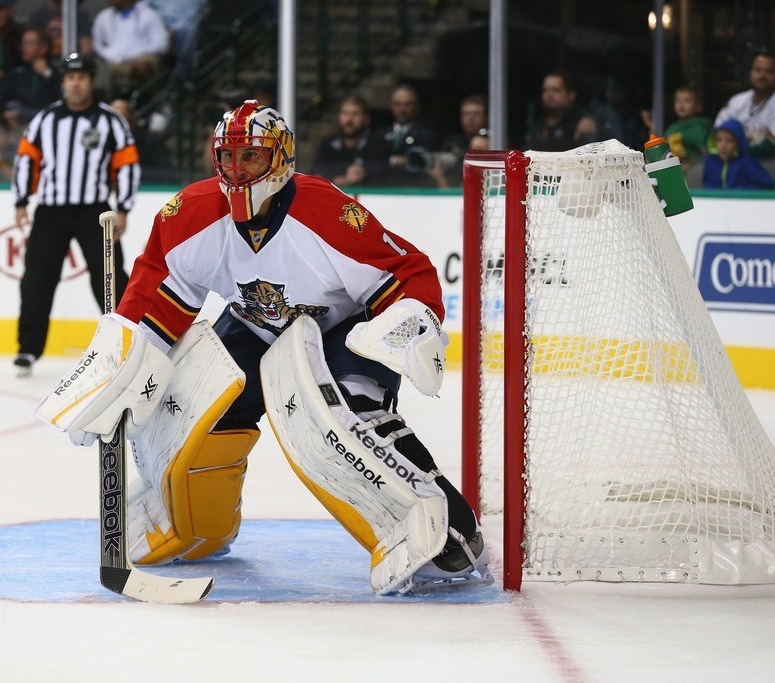 Luongo, who returned to the team at the trade deadline, is in his second tour with the team after playing for them from 2000 through 2006. The Panthers have been battling fan attendance problems in recent years. They are the lowest in home fan attendance through one game, as the New York Islanders are presently second. The Islanders had 16,170 fans in their home opener. The Panthers averaged 15,827 fans throughout last season. However, at home, they averaged just 14,177 fans. The Arizona Coyotes, who were the Phoenix Coyotes last season, had a worse attendance. They had 13,775 fans at home, and 15,311 fans overall. While the Coyotes were just sold and they hope the re-branding, as the Arizona Coyotes will help, the Panthers are in trouble. If they can’t get a better marketing strategy to bring fans into the seats in Sunrise, Florida, the NHL may be forced to relocate the team. The Atlanta Thrashers were the last team that was re-located following attendance struggles. After relocating, they now play as the Winnipeg Jets, who are in their fourth season back in the NHL. An hour and 35 minutes away, the Florida Everblades, an ECHL team, averaged 5,045 fans last season. The Tampa Bay Lighting, who are 3 hours and 3 minutes from BB&T Center, the home of the Panthers, are averaging 19,204 fans this season. They had 18,612 fans last season at home. They had 17,989 overall, and were 10th overall in the league in the NHL Attendance Report.